What if bribery were legal? What if there were a crowdfunding site for public-works projects? What if you could sue corrupt politicians? How would the country be different? 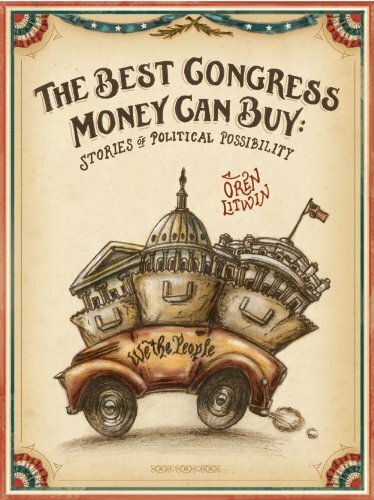 “The Best Congress Money Can Buy” and six other short stories display visions of our society that are delightfully strange and provocative. Joe is a congressman who openly sells his services to the highest bidder. Nick is a drunken brawler who must pay for his crime in a workhouse. Beth is a peaceful woman in a country where gun ownership is mandatory. Their stories and others explore how our political dysfunctions needn’t be taken for granted, and small changes in our political system can lead to meaningful changes in our lives. When a wise princess is imprisoned by a hungry dragon, it seems that no one can save her. 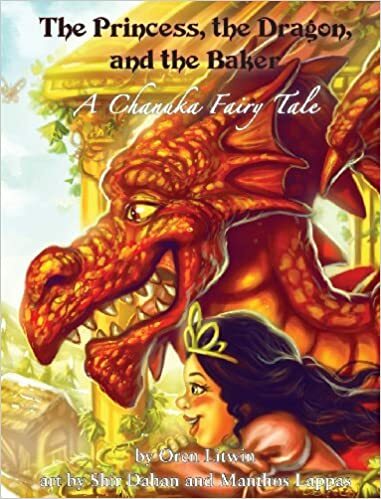 Can Chanoch the baker succeed where others have failed, and free the princess? This lavishly illustrated tale will delight children of all ages (and their parents too! ), while subtly teaching about the deeper meaning of Chanuka: the relationship between physical and spiritual, the importance of gratitude, and how to turn the pleasures of eating into something more profound.